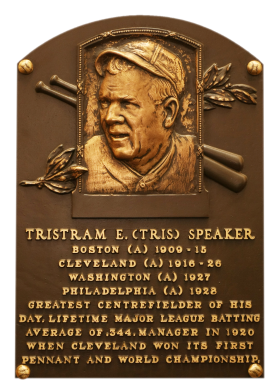 The best center fielder of his time, Tris Speaker played close enough to the infield to take pick-off throws at second. "The Grey Eagle" hit over .300 in 18 seasons and topped .375 six times on his way to a career .344 mark. 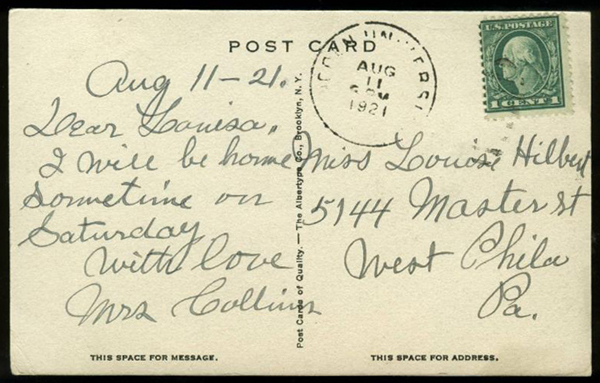 Traded from Boston to Cleveland in 1916, he won his only batting title, at .386. 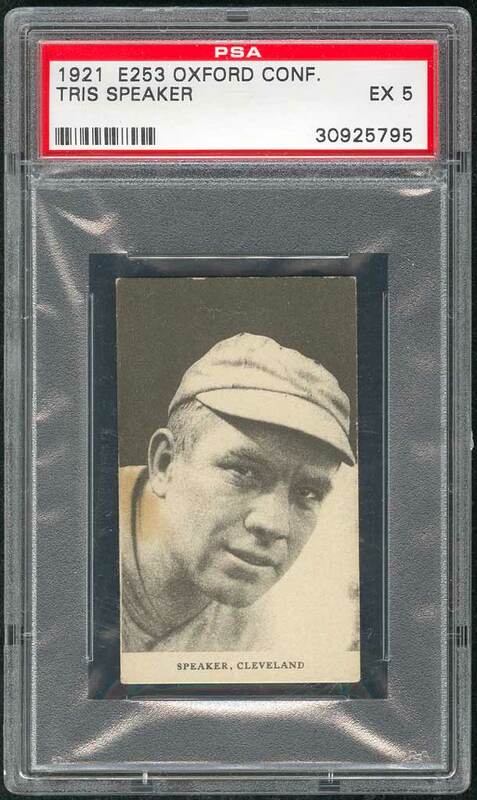 "Spoke" hit a record 792 career doubles, and had 3,515 base hits. 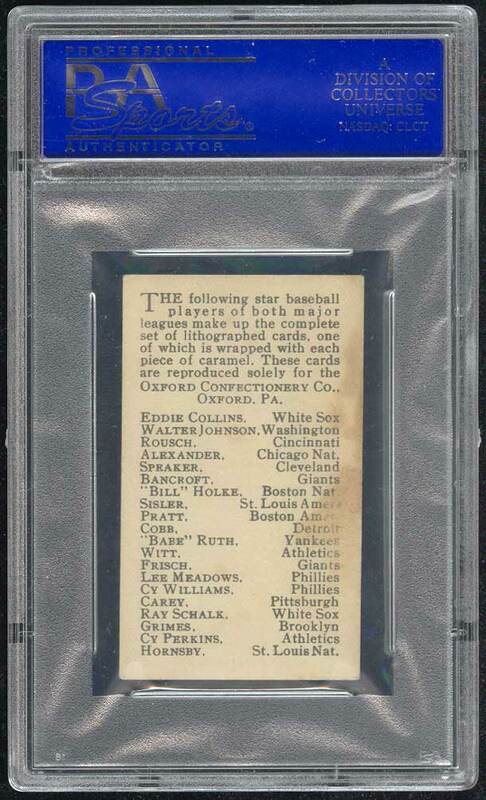 In September, 2004 I decided to replace the 1940 Playball tribute card with a contemporary issue and chose the E253 Oxford Confectionary issue. 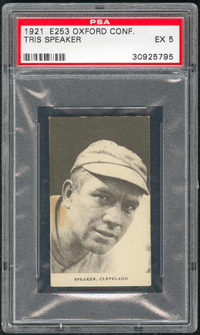 I found a SGC 40 example via eBay which was then upgraded to this PSA 5 example with another eBay win in May, 2005. 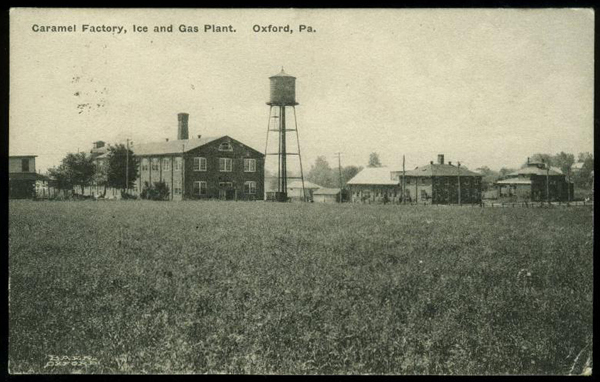 Description: The 20-card set was issued in 1921 by Oxford Confectionary of Oxford, PA, printed on thin paper and distributed with caramels. Each card measures 1-5/8" X 2-3/4". 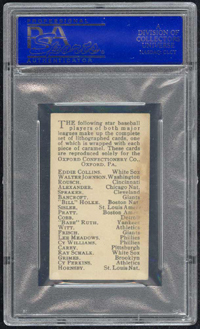 The reverse carries a checklist of the players in the set, 14 of whom are now in the Hall of Fame. This card was distributed with caramels.